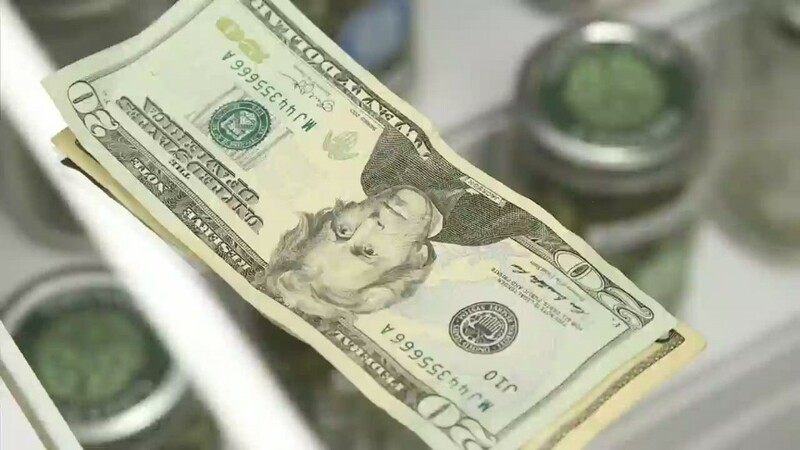 A Colorado bank has sued the Federal Reserve for not giving it permission to provide financial services to marijuana businesses. Fourth Corner Credit Union of Denver filed suit Thursday against the Kansas City branch of the Federal Reserve, which supervises banks in Colorado. The Fed denied Fourth Corner's request to allow it to operate within the banking system. Medical marijuana is legal in about 23 states and recreational marijuana is legal in Colorado, Washington, Oregon, Alaska and Washington, DC. However, it is still illegal on the federal level. That means banks don't want anything to do with marijuana businesses, who are forced forced to operate in cash only. Fourth Corner was created specifically to serve the pot industry. It got state approval back in November, and was waiting for a green light from the Federal Reserve. The industry was counting on the bank, hoping it would be a turning point for all their financial issues. The bank has a broad base of support, including from the a group of attorneys, business owners and legalization advocates. "We will continue to push the federal government to allow banking for this industry," said Colorado Gov. John Hickenlooper in his State of the State address in January. The lawsuit called the Fed's denial "anti-competitive; it is detrimental to public safety." It pointed out that businesses that have to deal only in cash have "significant public safety concerns." Indeed, it has led to a whole new industry of security firms catering to dispensaries. The Kansas City branch of the Federal Reserve declined comment. The lawsuit could finally push the courts to resolve the conflict between state and federal laws. Federal regulations have affected the marijuana industry in other ways too. Earlier this month, the first-ever recreational marijuana commercial wasn't aired on television because the airwaves are regulated by the federal government.